Red Deer have a large global distribution extending from Europe and North Africa through central Asia, Siberia, the Far East and North America. Formerly widespread in Canada and the United States, it is now mostly restricted to western North America with small reintroduced populations elsewhere including Argentina, New Zealand & Australia. Red Deer live in areas ranging from dense forests to moors, flood plains and lowlands to plateaus and the Alps. They have a reddish brown coat with the upper parts being lighter and they have a white patch under their tails. 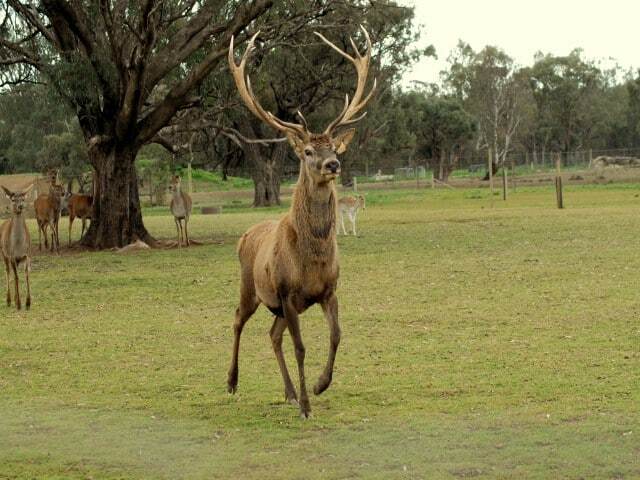 Stag (male) Red Deer can grow to a height of 1.3m at the shoulder and can weigh up to 130kgs. The hind (female) is slightly smaller than the stag. Only the male grows a set of Antlers that can measure more than 1 metre in length. The Red Deer is Europe's largest Land Mammal. When Red Deer feel threatened or stressed they grind their teeth, stomp their hooves and stick their tongue out in an aggressive manner warning the Predator to back away or suffer an attack. Group structure: The Male stag herds females together into ‘harems’/groups ranging from 1 to 12 individuals. 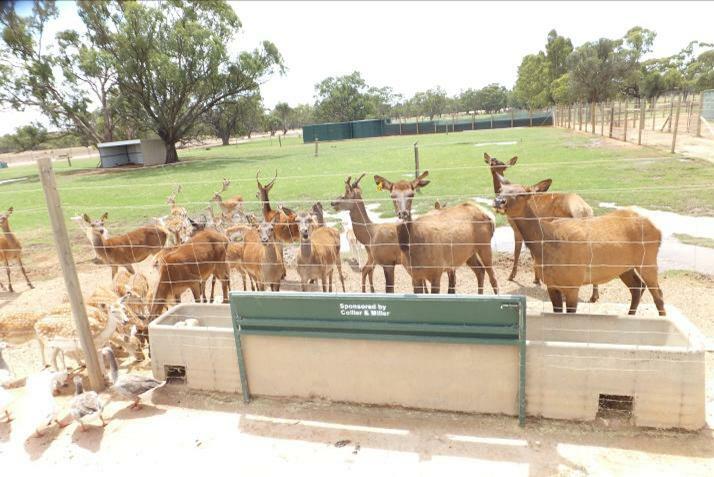 Diet: Red Deer feed primarily on herbs, grasses and small plants. In winter the deer will eat conifer needles, lichens, softwood bark and grasses. Gestation: 7 – 9 months. Calves are born with a spotted white coat (which acts as camouflage from predators) with the spots fading by the time the calf is 2 months old. The Antlers are living tissue covered with a thick covering of velvet which serves as a protective layer. This velvet has a number of blood vessels which supply the antlers with calcium and other minerals. The stag with a full set of antlers is a most impressive sight. The antlers are usually branched in a complex manner with 6 - 10 points (tines) on each branch. The antlers can weigh up to 10-12kgs drop off after breeding season only to regrow again the following year. Lifespan: 12 – 18 years.